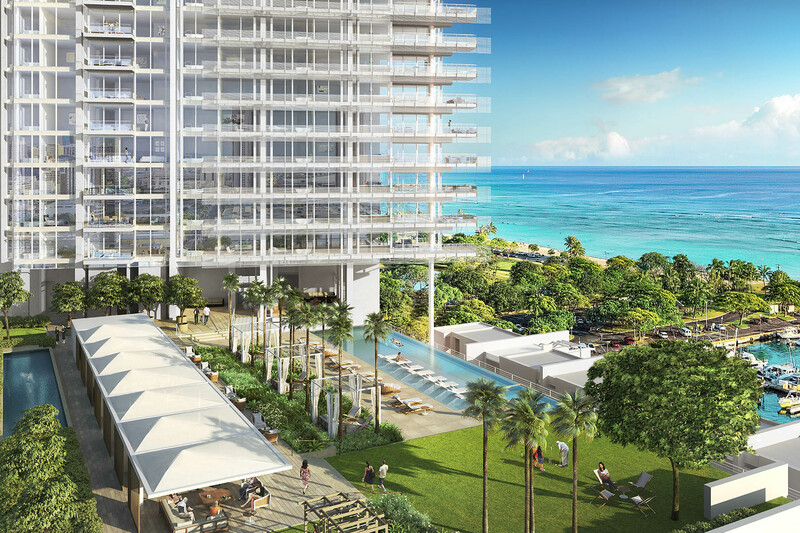 The Honolulu Luxury Condominiums project is part of a large-scale mixed-use development located west of Honolulu’s famed Waikiki Beach. 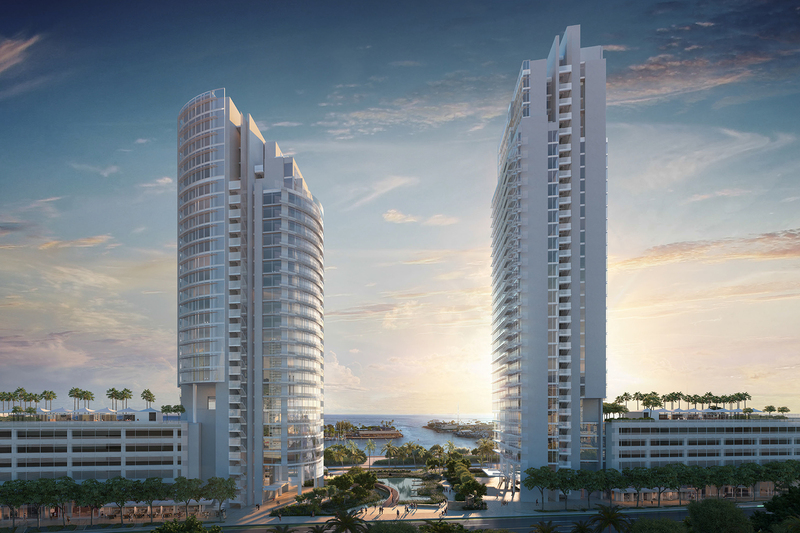 Designed as a microcosm of the area’s cultural tradition of sustainable living, PB&Co’s landscape design aligns with the geometries of the larger urban fabric and the project’s “Blade” and “Cylinder” condominium towers while reinterpreting native approaches to living on the island. 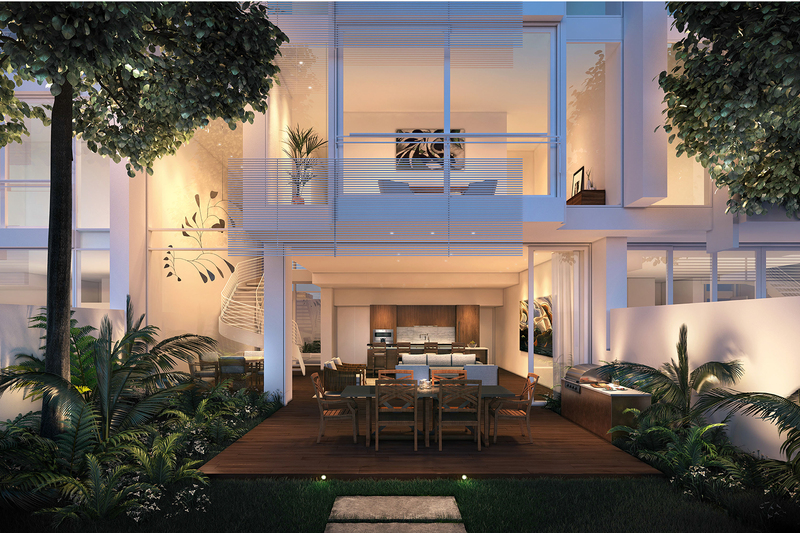 PB&Co’s process began with a comprehensive study of the area’s physical and cultural history, and with influence from historic maps, tours of Oahu landscapes and the area’s public master plan, the Ahupua’a design approach emerged. Traditionally, Ahupua’a connected a series of villages and natural resources beginning at the upland volcanic peaks (Mauka), to the fertile agricultural plains (Kula) and finally to the shore (Makai). 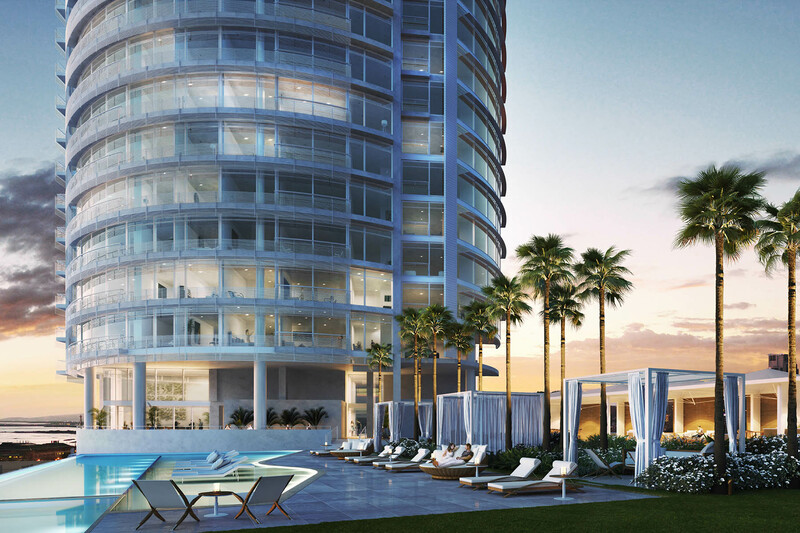 Each of these landscapes has distinctive terrain, plant materials and water courses whose forms can be interpreted in a contemporary way. 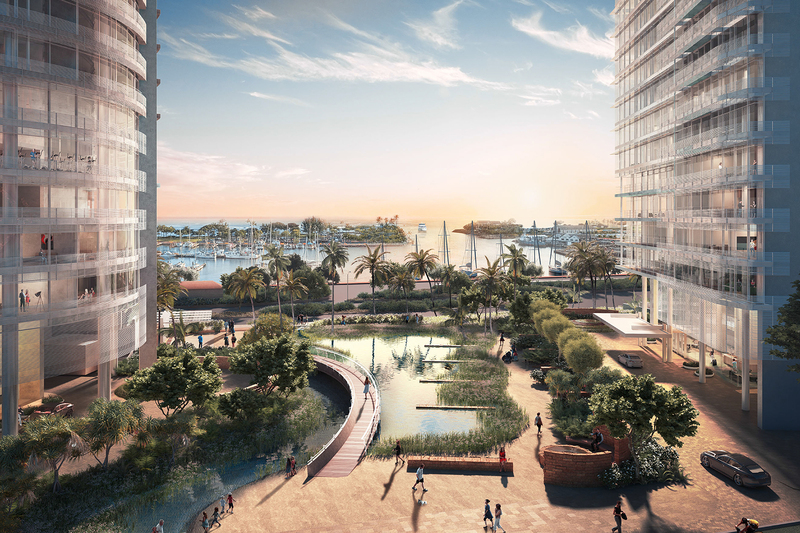 In the proposed development, a transit station, located at the furthest extent of the development is seen as the upland Mauka, while central gardens connecting the towers and other living components represents Kula. 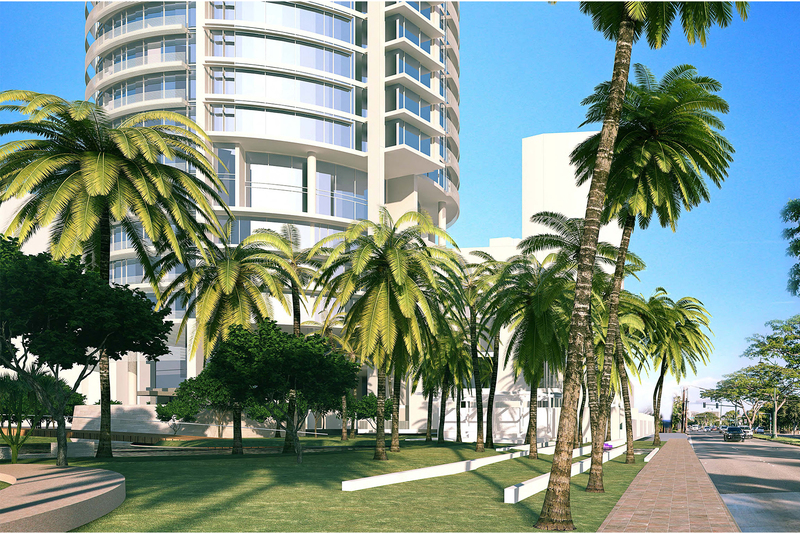 A signature Gateway Park, leading to the beach, is seen as the Makai.